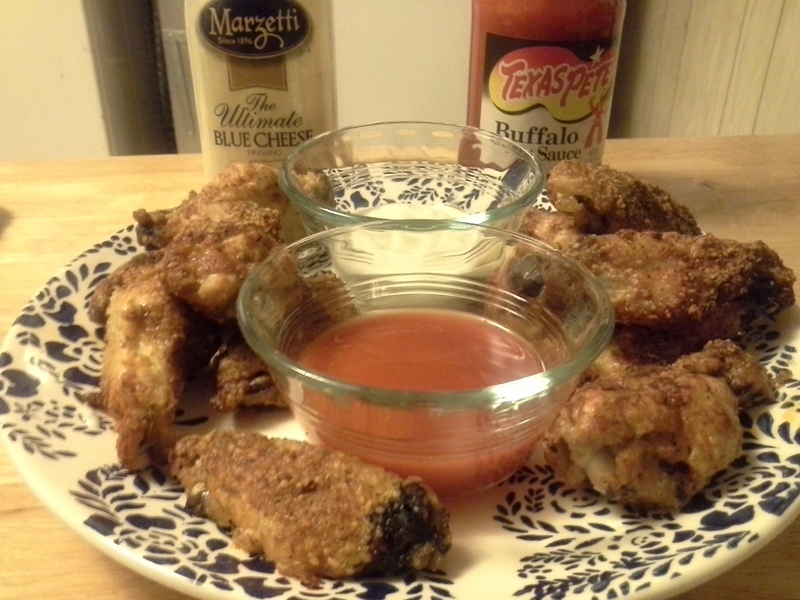 As I posted a few days ago, I opted for the Parmesan wings at Pizza Hut to save on carbs over the more traditional buffalo wings. I couldn’t get that flavor out of my mind (this is what happens when you’re a food addict), so I decided to try them at home and see if I could get the carb count down even lower. Guess what—I did! Though the original recipe doesn’t call for it, I added about 1/2 a tsp of garlic powder to this, too. Preheat oven to 350°F (toaster oven: 400–450°F). Line a shallow baking pan with foil (really—because otherwise you’re going to end up either scrubbing all night or throwing the pan away). 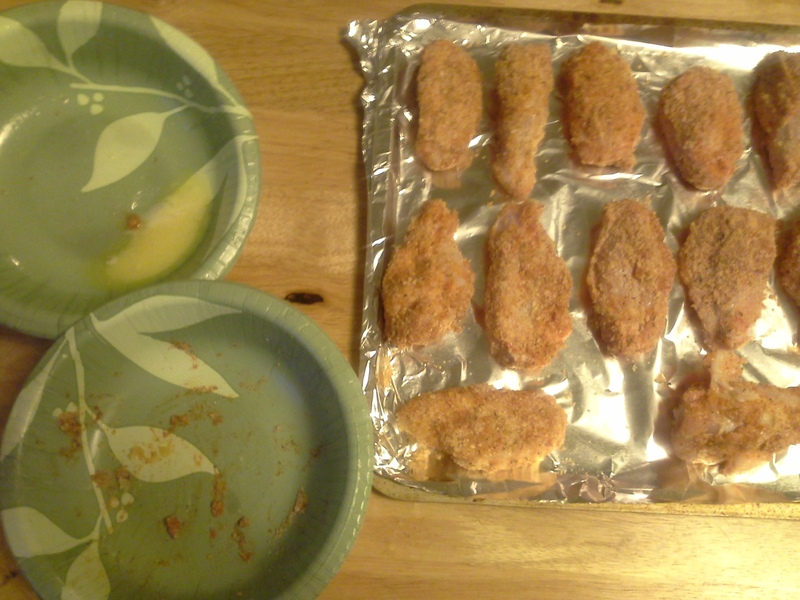 If using whole wings, cut and trim into drumettes and pat dry with paper towels. In a small bowl (I used standard-size paper bowls), combine cheese, parsley, oregano, paprika, salt, and pepper. Melt butter in a separate bowl. Set up an assembly line to make this process quicker and cleaner. My original pan turned out too small, so I switched to a baking sheet instead. This recipe (halved from the original) made just barely enough to thoroughly coat 12 drumettes. Bake 1 hour until outsides are crispy and beginning to brown well. 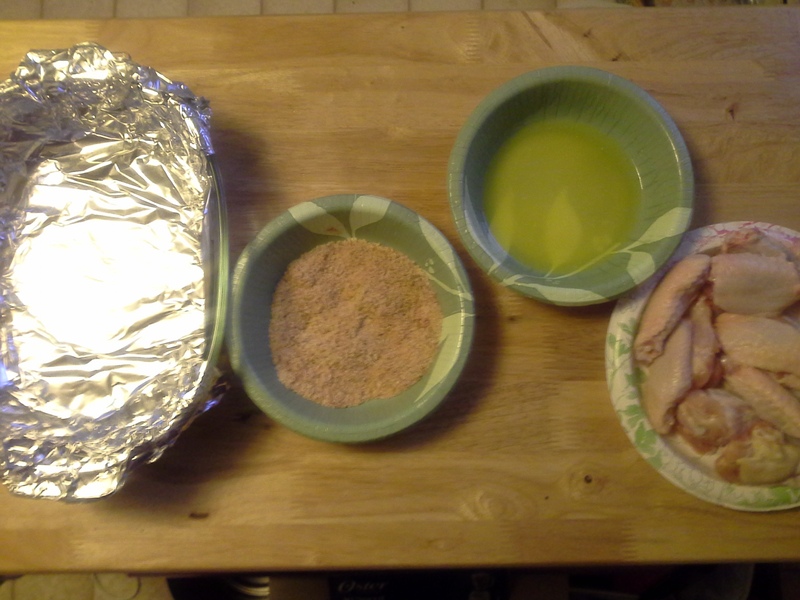 Wings will stick to the foil, so you’ll have to carefully pry them off. In the toaster oven, I turned on the broiler for the last five minutes, just to ensure they were good and crispy on the outside. Yield: about 12 pieces with trace carbs. Don’t forget to count the carbs for the sauces! The worst thing about this recipe is that about five minutes after I put the pan in the oven, it started smelling REALLY good. I had to smell that for an hour before I could finally get a taste. My stomach almost gnawed itself into pieces by the time these were ready to eat. These are great on their own, or you can serve them with dipping sauces, such as marinara or hot wing sauce or ranch dressing. Just be sure to count the carbs the dips may add. 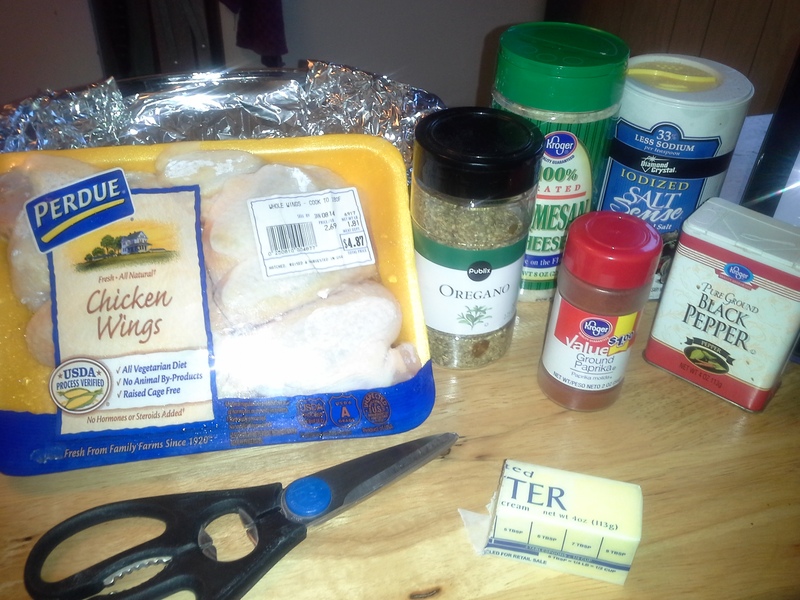 A solution to your wings sticking to tin foil , is to use parchment paper, works like a charm. Ive fought the tin foil too, and you lose a lot of your wings. Great tip, thanks! I’ll add parchment paper to my grocery list.